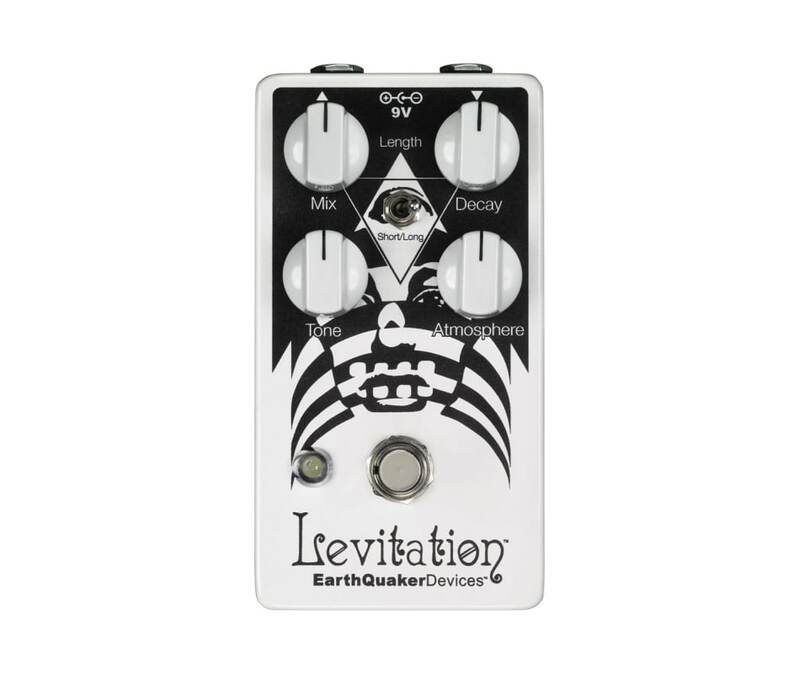 Introducing the Levitation reverb, a pedal designed by EarthQuaker Devices in conjunction with the LEVITATION music festival! LEVITATION, founded as Austin Psych Fest in 2008, has become a way to honor and preserve Austin's psychedelic rock heritage, and carry it into the future. EarthQuaker wanted to remain true to the theme of LEVITATION and decided to do a variation on the popular Ghost Echo pedal to honor the reverb-drenched tones synonymous with classic psych rock. The Levitation Reverb builds on the base sound found in the Ghost Echo but does away with the attack and dwell and adds control over tone, decay, atmosphere and length in their place. It is a vintage voiced reverb that aims to fit somewhere between dirty sixties chambers, classic spring, and the big, ringing plate reverbs of days gone by.